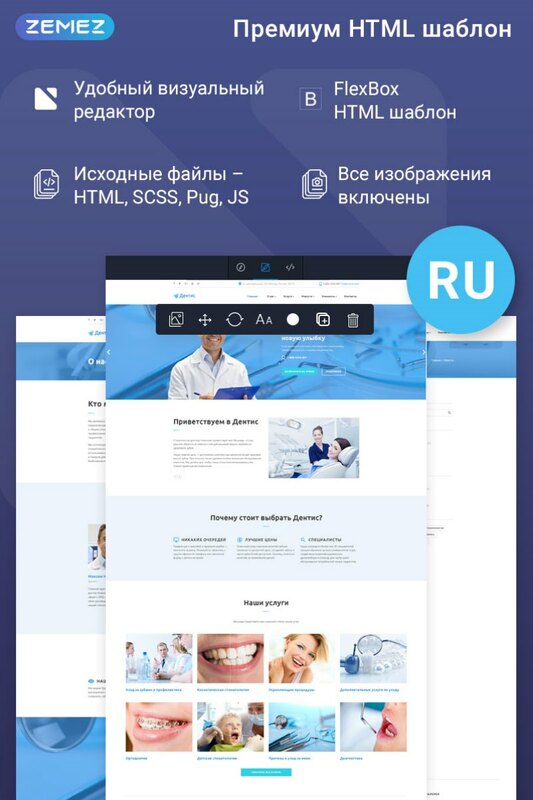 This Dental Clinic Ready-To-Use RU Multipage Website Template is a functional solution from TemplateMonster, which is created specifically for the medical business websites. 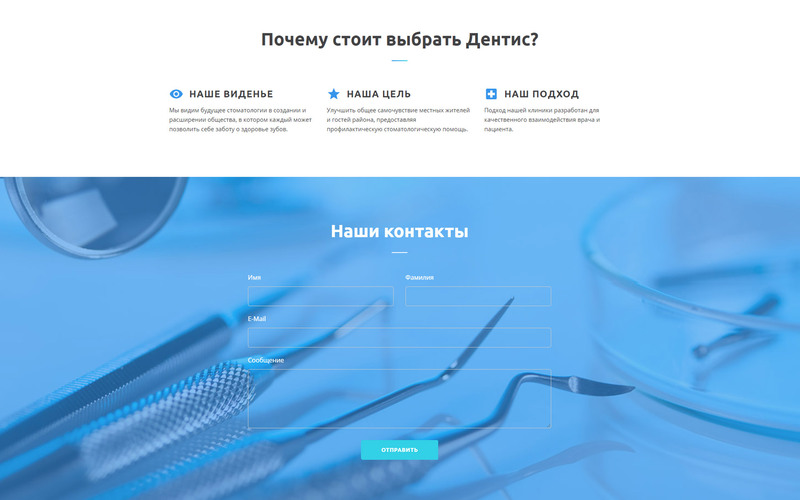 This template has an elegant and conservative design and colors and shapes that convey the content of the site to users as easy as possible. 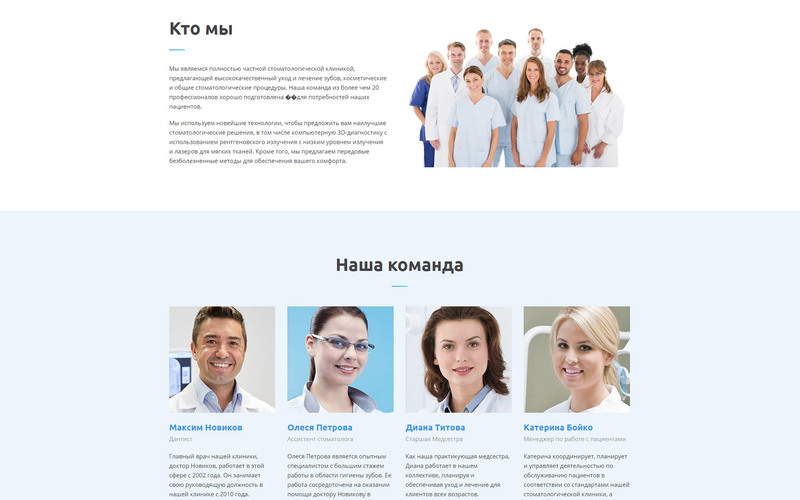 This is a very simple Multipage RU HTML5 template that is made in the style of minimalism and is suitable for small or novice businesses. But despite being minimalistic, this template offers everything you need. Fast response rate, intuitive interface, and fully adjustable looks with social network integration support. And this template was created using the Novi Builder. The Novi Builder has the functionality in the form of editing mode. This will allow users to work with the template without coding skills. There also are fully customizable services description pages.